For some reason, the East Village has like 30 ramen joints and the West Village has almost none. With that being said, when a new place opens up in the neighborhood, I get excited. 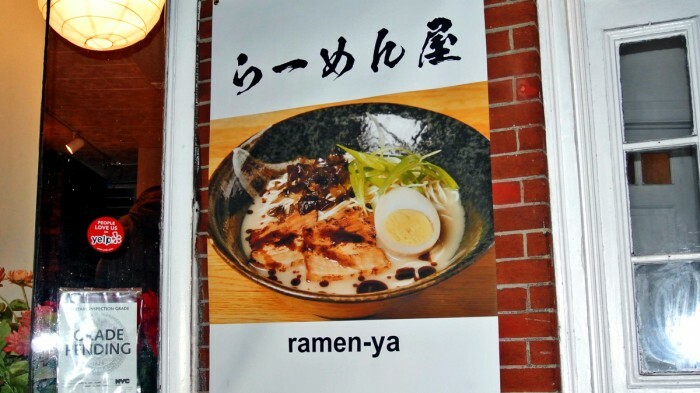 One day, while walking up West 4th Street I noticed the spot that had once housed a nice sushi restaurant had closed and reopened as a ramen shop called Ramen Ya. I knew I’d have to check it out to see how it ranked within the competitive NYC ramen landscape. I showed up at Ramen Ya fairly late one evening, close to 10:00 PM. After waiting there quietly for a few minutes I had to holler behind the kitchen curtain to make sure someone was back there and I knew I was out front. 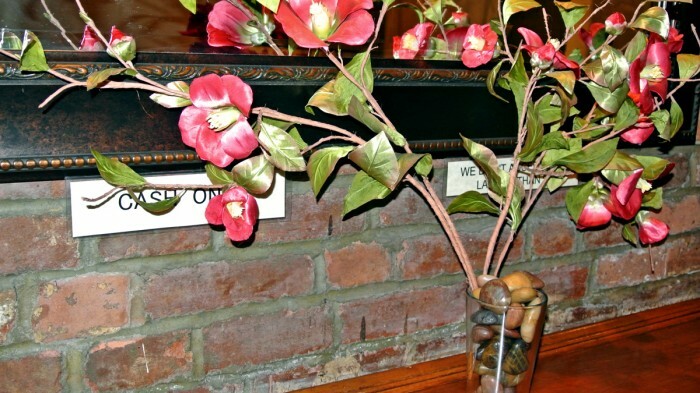 The service here was pretty “iffy” and the decor felt sort of strange and vacant. The servers didn’t come around much and it seemed like they haphazardly half-assed the restaurant concept conversion with frumpy slipcovers and a couple of lanterns. Also, every wall made sure to tell me about their cash-only policy with a tacky printed sign. I’m not so sold on this place yet. They had a pretty limited menu consisting of four ramen options, each with either a chicken or pork-based broth. 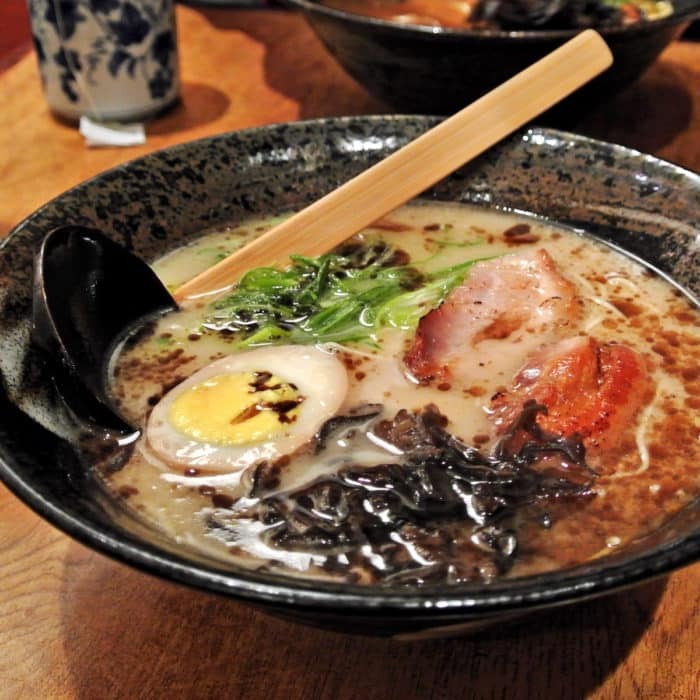 I selected the Shio Black Tonkotsu Ramen because it sounded like the most flavorful option. Once the food arrived, I found myself with a medium-sized clean and comforting bowl of ramen. The straight, thin noodles were cooked and had a springy texture. The broth was clean though probably too simple for my taste. There was only just a touch of garlic flavor in the broth even though my selection should have been bursting with it. The amount of black garlic flavor in this ramen pales in comparison to the bowl I’ve had so many times at Terakawa Ramen. Also, I think the egg was cooked too far. The yolk was completely solid so there was no way to mix it with the broth for extra richness. The pork char siu, however, was perfectly fatty, flavorful, and tender and had clearly been torched to order. In conclusion, it’s not the best ramen I’ve had in NYC by any means. Their char siu is quite good, but beyond that there’s a lot to be desired at this no-frills shop. 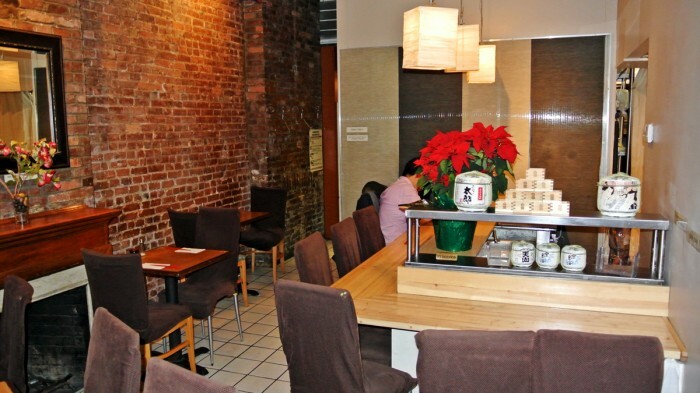 It’s a serviceable spot for a ramen fix though I’d probably head to the nearby Ramen Takumi instead.